Jeffrey Fagan is Visiting Professor of Law at Yale Law School, an Isidor and Seville Sulzbacher Professor of Law at Columbia Law School, and Professor of Epidemiology at the Mailman School of Public Health at Columbia University. His research and scholarship examines policing, the legitimacy of the criminal law, capital punishment, legal socialization of adolescents, neighborhoods and crime, and juvenile crime and punishment. Jeffrey Fagan is Visiting Professor of Law at Yale Law School, an Isidor and Seville Sulzbacher Professor of Law at Columbia Law School, and Professor of Epidemiology at the Mailman School of Public Health at Columbia University. His research and scholarship examines policing, the legitimacy of the criminal law, capital punishment, legal socialization of adolescents, neighborhoods and crime, and juvenile crime and punishment. He served on the Committee on Law and Justice of the National Academy of Science from 2000-2006, and on the MacArthur Foundation’s Research Network on Adolescent Development and Juvenile Justice. He was a member of the 2004 National Research Council panel that examined policing in the U.S. He has been an expert witness on capital punishment to the U.N. Office of the High Commissioner for Human Rights. He is a fellow of the American Society of Criminology, and served on its executive board for three years. 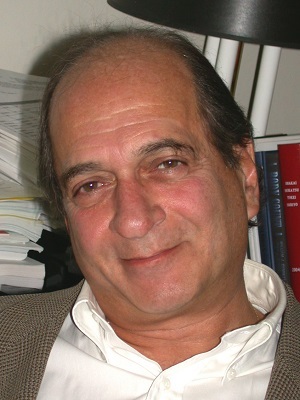 He is past editor of the Journal of Research in Crime and Delinquency, and serves on the editorial boards of several journals in criminology and law. Fagan received his Ph.D. in Policy Science and an M.S. in Human Factors Engineering from State University of New York at Buffalo, and holds a B.E. in Industrial Engineering from New York University.